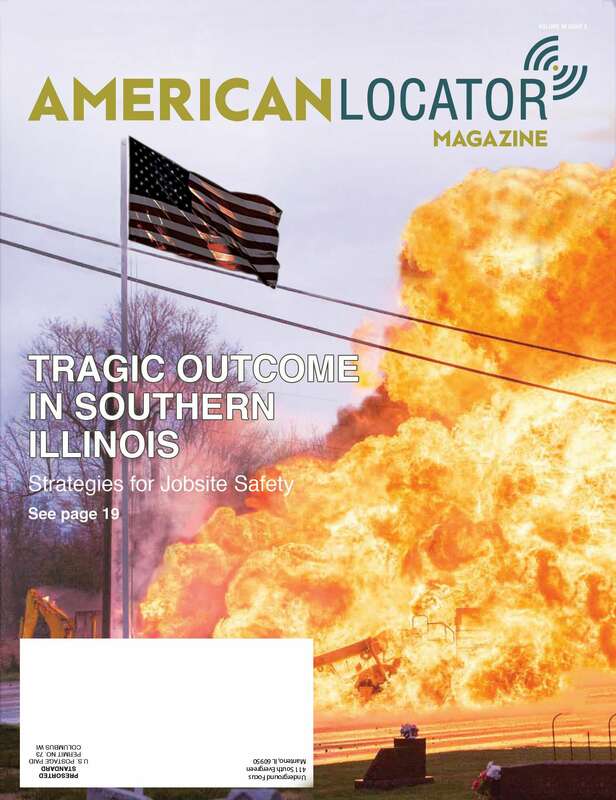 American Locator magazine gets to the heart of news, debate, technology and processes focusing on damage prevention in the underground utility industry. 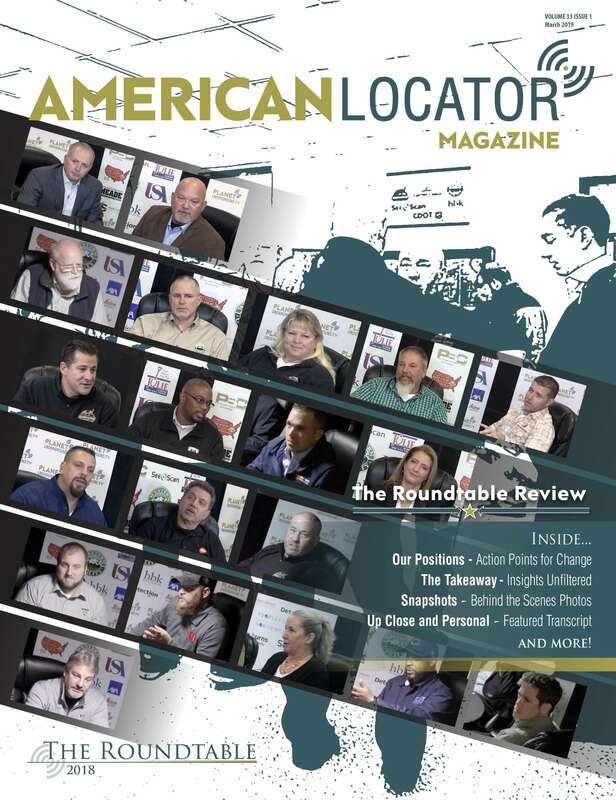 With each issue of American Locator Magazine, we focus on relevant topics within key areas of the industry and strive to bring tips, breaking news and information to our readers from people working daily in the field. 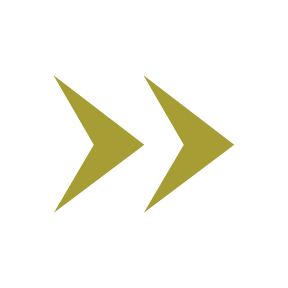 See highlights from our most recent issue or read through past issues for valuable ideas to implement on your own projects. Subscribe today! from The Roundtable 2018 at Planet Underground. taken from The Roundtable’s best discussions. Subscribe to the Planet Underground YouTube channel and view videos related to stories from this and other great issues. In Planet Underground TV’s Episode 13: Locating – Trust But Verify – locators on the job express their passion for the important work of locating and verifying the position of underground utilities to keep communities safe. Locators are tasked with discovering problems, BEFORE they become much bigger problems during excavation. Trust in good locator training programs, but verify with strong audit programs. In Planet Underground TV’s Episode 12: 17 Common Sense Heroes – Planet Underground President, Mike Parilac, narrates the story of those individuals and companies doing damage prevention right – safely, the first time, and every time. These are the “common sense heroes” for underground utility excavation. How they conduct their work is instructional for everyone in the underground utility world. 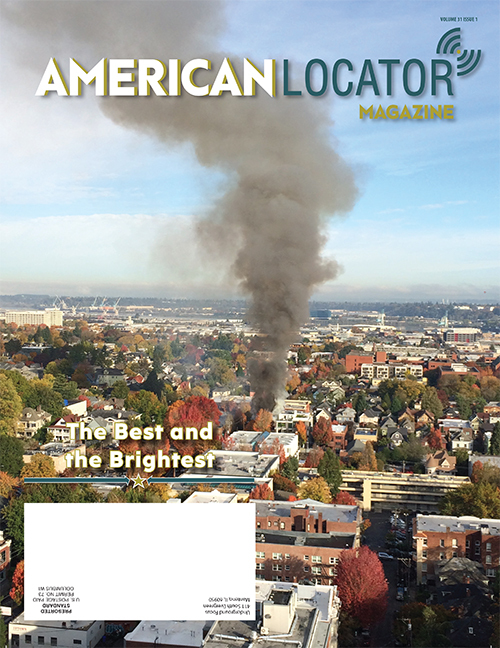 Don’t miss exclusive news and interviews on the future of underground utility damage prevention in American Locator. Subscribe today! Catching up on the latest insights on excavators at the forefront of safety innovations? View our past issues here. I commend you on an article that was included in the July 2018 Issue (Vol.32 Issue 3) of American Locator. Specifically, I am making reference to Fred LeSage’s article entitled “A New Mindset for Damage Prevention.” I was so impressed with Mr. LeSage’s article that I shared it with my colleagues. One of them commented, “It’s almost like Fred LeSage has been sitting next to us at lunch and overhearing our conversations about utility coordination issues.” Mr. LeSage is “spot on,” and I hope that his “New Mindset” catches on with excavators, utility facility owners/operators, and project owners alike. C. W. Matthews Contracting Company, Inc.
American Locator magazine does a wonderful job representing the interests of the excavating, manufacturing, engineering, locating and utility communities’ interests. They bring forward the most topical, current and useful information for the purpose of keeping all parties informed, productive and safe.